Our staff includes a team of medical providers, behavioral health consultants, a psychiatric mental health nurse practitioner, as well as clinical and administrative support staff. With our team we are able to offer a variety of services based on the needs of our patients. If outside hospital services are needed, our providers have a strong relationship with MaineGeneral Medical Center. We also work closely with a supportive community board and a patient advisory committee who provide local feedback and ongoing recommendations for improvement. 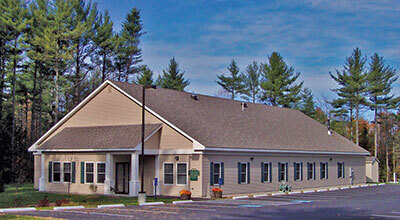 Located in Central Maine, Belgrade Regional Health Center is surrounded by spectacular views of the chain of lakes in the Belgrade Lakes Region. Doubling in population in the summer, Belgrade offers spectacular fishing, boating, hiking and birdwatching opportunities. We also are within an hour of Maine’s beautiful mountains and coastlines, giving our patients access to many recreational and scenic opportunities in all directions.